PT Indah Karya (Persero) - PT IK or known as "Indah Karya" is a well-established state-owned company in Indonesia which specializes in engineering and planning consultancy services. Its business include development planning, public buildings planning, monitoring of implementation of the building, acted as an advisor in the construction and also management consultancy. 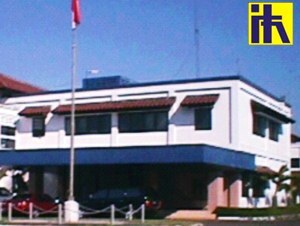 PT Indah Karya (Persero) was first established in 1961 and initially registered as PN Indah Karya. Indah Karya was formed by the Government of Indonesia as a nationalization results of Dutch company Ingenieurs Bureau Ingenegeren Vrijburg NV (IBIV-NV) under the Government Regulation No 66 of 1961. The name of PT Indah Karya (Persero) officially launched in 1971. Headquartered in Bandung West Java, Indah Karya has 1 Jakarta representative office, 7 branch offices spread in Banda Aceh, Medan, Padang, Palembang, Lampung, Bandung, and Surabaya. Operations are supported by a total of more than 178 employees as at December 2014. Indah Karya also supported 2 business units; Indah Karya Register Certification Services (IKRCS) and construction services unit (ELJEKA). In 2014, Indah Karya succeeded in achieving acceptable and sound growth. Indah Karya managed to record a total asset of Rp 43.5 billion in 2014. This total assets equivalent with a 66.03% growth from Rp 26.2 billion in 2013. Indah Karya registered total revenue of Rp 41.1 billion in 2014, an increase of 45.22% from the previous year of Rp 28.3 billion. Net profit grew considerably to Rp 5.4 billion, from Rp 3.5 billion in the previous year. This figures was stated by the Ministry of State-Owned Enterprise in its Indonesian State-Owned Company Profile 2014 as cited by JobsCDC.com. Bachelor Degree (S1) from the following fields: Economics, Financial Management, Accounting, Business Studies, or similar. Male with age is between 21 – 35 year old. Have 1 year of experience in finance and / or financial analysis. Fresh graduate with minimum GPA of 3.00 are welcome to apply. Mastering the fundamentals of corporate finance analysis. Good in numerical calculations and have strong logic of thinking. Able to work individually with deadline and cooperation in the team. Male or Female with age is between 21 – 30 year old. Other relevant documents to support the application. JobsCDC.com now available on android device. Download now on Google Play here. Please be aware of recruitment fraud. The entire stage of this selection process is free of charge. PT Indah Karya (Persero) - Fresh Graduate Junior Staff, Staff Indah Karya September 2017 will never ask for fees or upfront payments for any purposes during the recruitment process such as transportation and accommodation.